How would you (or a pregnant woman you may know) like to enjoy a full body massage (or two) by a licensed massage therapist, free of charge? November 3rd from 10:15am to 12:30pm. It’s a fun way to get rid of your backache and other common discomforts while helping professionals learn their new skills. If you can join us, please bring a snack and some water with you. Thank you! We wish you a very happy and healthy pregnancy. Main Line Doulas serves the entire Philadelphia and surrounding area, but does not reach York. Main Line Doulas is not associated with this massage school, but we like to pass along great info about fun events for preggos in the surrounding areas. As I was watching the Today Show this morning, a commercial came on for Walgreens. It featured a woman in her robe obviously sick with a cold/flu in the kitchen. She was making a smoothie. She started with orange juice, then added kale, then added a raw egg, then finally added chicken noddle soup. She had a look of disgust as she poured it into a cup, and they never showed her drink it, because... The narrator in the background was telling us that we shouldn't use crazy remedies to get healthy, we should come straight to Walgreens. So Walgreens, eating healthy whole foods is an absurd way to take care of our bodies when we are sick? I'd like to know what they would prefer to offer us. Advil? Tylenol? The flu shot for next time? Vitamins in a bottle? I prefer to go with Hippocrates. I put the juice and kale in first, let it blend until as smooth as possible, then I add the rest. 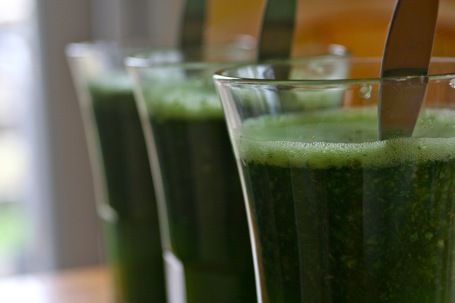 This is also a great recipe to use in the juicer. Main Line Doulas recognizes the importance of nutrition during pregnancy and the postpartum period. Our postpartum doulas are all highly experienced in cooking healthy meals using whole foods to help you transition smoothly during the early postpartum days. Main Line Doulas is teaming up with Babies R Us to provide you an exciting new seminar series this winter. 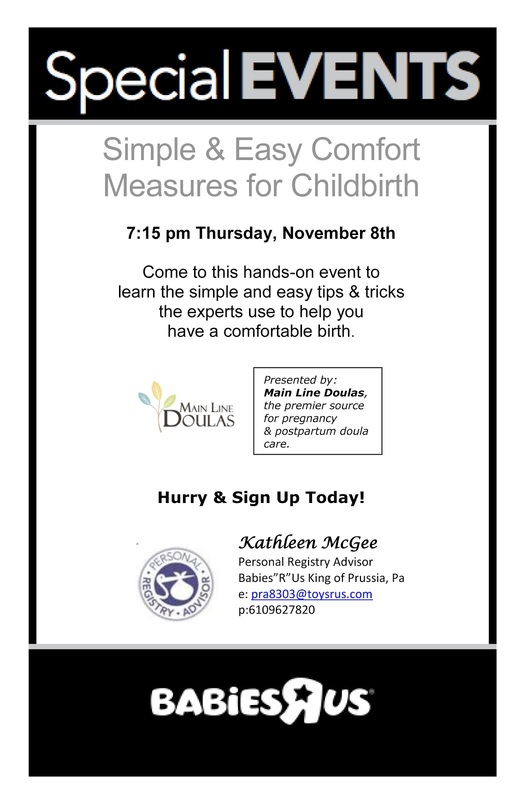 Come to this hands on event to learn the simple and easy tips and tricks the experts use to help you have a comfortable birth. What are air-fresheners made of? Ever wonder what air-fresheners are made of? How about that delicious apple scented one? Is that really apples or is it something else. 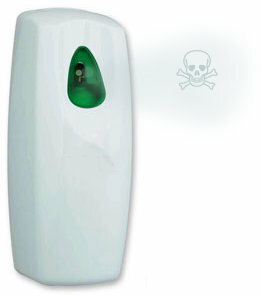 I just read an article discusses the make-up of air fresheners and their effects on us and was flabbergasted... although not surprised. All of these products cause cancer and are toxic to every single organ in your body including your heart, lungs and brain. What is a doula? Here is a great answer from Randy of Northeast Doulas up in New York. 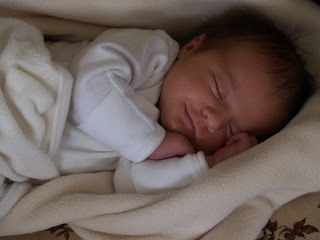 In honor of my daughter Ivy's birthday, here is my condensed birth story of her amazing birth. 3 years ago tonight, I took my second big walk of the day, saw our neighbor Sarah who was 9 at the time, and she gave Ivy a little talking to and asked her to "come out sometime in the next few hours" for mom please! I was laying on the couch around this time and started getting some light contractions, like I had been for a few nights in a row. Each night they would subside after a few hours. I assumed this night would be the same. I watched a movie, tried to go to sleep, took a shower, but they never subsided. I was trying to go to sleep when I felt my water break slightly! We called The Bryn Mawr Birth Center and they told me to try to sleep and call them in the morning or if anything changed. While laying in bed, Craig and I were talking and I would pause our conversation when a contraction came. Suddenly he said, wow, you are pausing like every 2 minutes. Pretty soon after that I decided it was time to go in to TBC! I called my doula who was waiting for me in the parking lot and after just an hour and a half at The Birth Center, Ivy Eden was born in the Blue Room with midwife Ann and nurse Sabina at 6:01 am! Happy Birthday Ivy . I look back on the experience with glowing pride and admiration of my body, my husband, my abilities and my amazing baby. It is my hope that my clients experience this same glowing, exploding pride and admiration of their body, their abilities, their partner and their baby. It was special this week to also be able to attend a birth as a doula in the very same room I had Ivy! Perfect timing:-) Happy 3rd Birthday my sweet wonderful Ivy, you find new and wonderful ways to amaze me every single moment. Breastfeeding in Public on What Would You Do? The ABC television show What Would You Do featured the issue of breastfeeding in public tonight. They had an 18 month old and 4 year old feeding at a coffee shop. The other actor in the coffee shop, a woman sitting at the table next to the breastfeeding child, berates the mom/child for breastfeeding in public and for breastfeeding a child of that age. The question was, what would you do if you saw a person berating a woman feeding her baby/toddler/child? Or even what would you do if you saw a woman feeding her baby/toddler/child? The bystanders responses were almost all thoughtful and caring toward the mother/child. There was only one table shown that was not supportive of the mom/child. That was very uplifting to see extended breastfeeding featured on national television in a positive light.